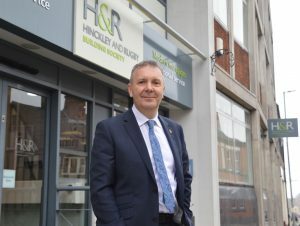 Hinckley & Rugby Building Society has started 2019 with an £18m increase in its mortgage balances in the first three months of its financial year. £46m was advanced up to the end of February. At the end of its first quarter (from December 1 2018 to February 28 2019) the mortgages balance was up to £690m and should exceed £700m during May. Total assets now stand at more than £800m. The trading update came as the Society marked its 153nd AGM, held at its Hinckley head office today. The meeting of members was briefed on the 2018 results, which included mortgage advances of £183m. Chief executive Colin Fyfe, who joined the Society in November 2018, said: “We’ve made a really strong start to the year. We targeted mortgage book growth of five per cent for the year and we’re ahead of the pace we need to reach that. “But the housing market is quite flat, and the number of people making the decision to sell or buy is low. A big Brexit question mark is looming over people. We foresee our rate of growth easing to take us to our target by the year end. At the AGM Colin outlined progress on the Society’s new head office in the former Hinckley Magistrates Courts building.